Find here LivingStyles coupons, vouchers and deals! LivingStyles.com.au is a bunch of people drawn together by a love of furnishings and an ambition to provide quality products for reasonable prices. We bring our experience in furniture manufacturing, retail sales, graphics, editing, logistics and customer service together to strive for that common goal – to do it better. 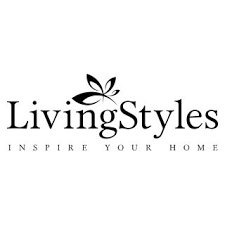 LivingStyles.com.au is an online retailer specialising in top quality home furnishings for customers with a taste for the latest and best designs at great prices. Choose from our permanent online showroom of thousands of premium brands in furniture, lighting, kitchenware, rugs and many more must-have products. We keep up with the trends and offer a wide range of styles at the best possible prices. Members also gain special access to exclusive new campaigns of our best picks each day.